Is a free Service EA you can attach it to any symbol chart to let it control auto close for orders. You can use it with other EA s.
You can use it with manual trading by set magic number to 0. 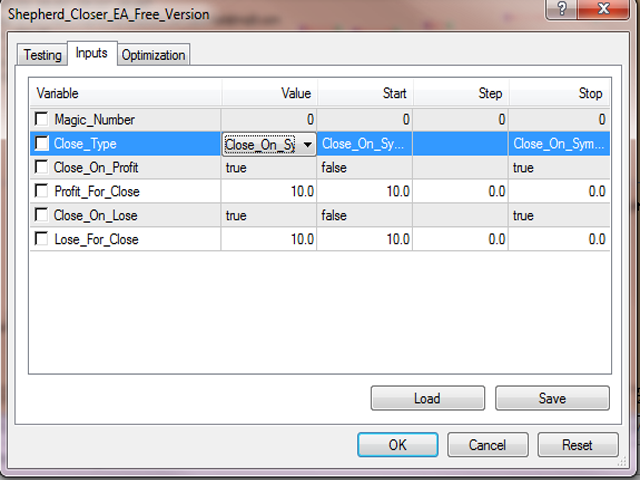 On_Symbol - if you choose this EA will detect Profits and Close orders Just which have same symbol name. 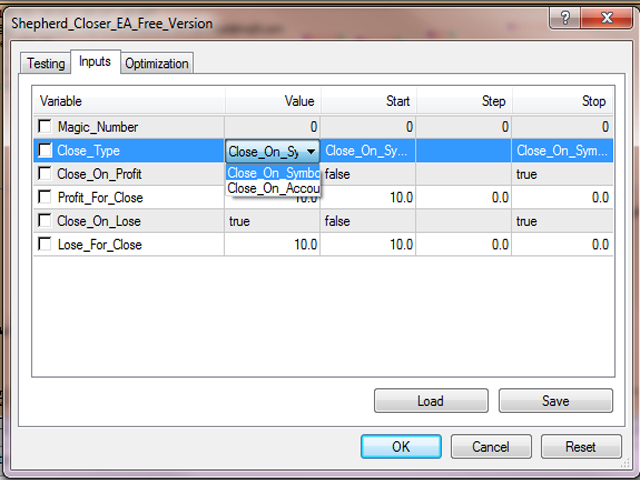 On_Account - if you choose this function EA will detect profits and close all opened orders in same account. Close_On_Profit - Enable\Disable Closing on profit Value. Profit_For_Close - Value of Profits To close orders when it reached. Close_On_Lose - Enable\Disable Closing on Lose Value. Lose_For_Close - Value of Profits To close orders when it reached. Great EA. Simple and easy.